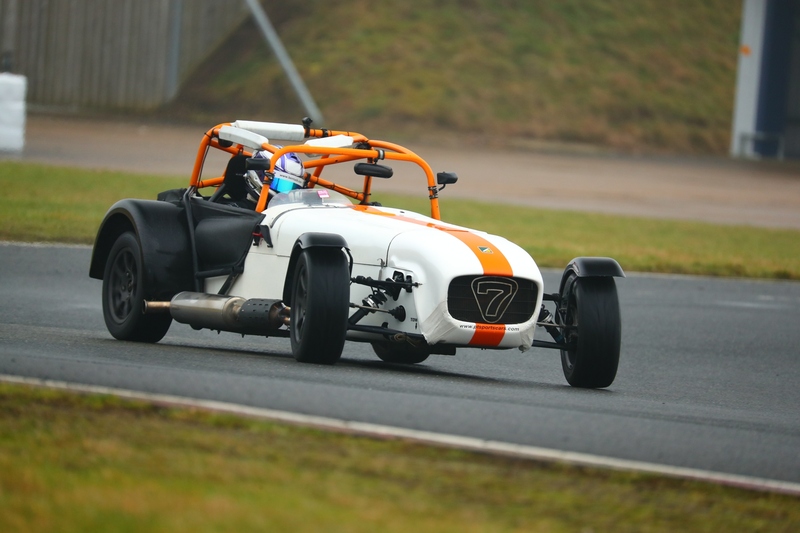 Ben Tuck got his 2017 campaign underway this weekend with a shakedown test of his PT Sportscars run Caterham Supersport. Ben capitalised on the freezing conditions to work on setting up his 140hp mount for damp and wet conditions. “It’s been a long winter” said the Bedfordshire teenager. “I’ve been itching to get back behind the wheel since we agreed to come back with PT for this year”. “The car felt great and we had no problems” he said. The 2015 RSF MSA Young Driver of the Year has opted to compete in a second season of the Caterham Supersport Championship for 2017. Last year was Ben’s debut season in Caterham’s and only his second full season of racing. During a successful year he took 2 wins, 5 podiums, 2 fastest laps and a lap record, finishing 6th in the Championship placing himself on the list of only 4 different drivers to win a race in 2016. “We had the pace right from the start, when we put it on the front row in Round 1”, said Ben. “The first half of the season was tricky and we had some issues with the car but it all came good at Oulton”. After his maiden podium at the Cheshire circuit, Ben went on to dominate the last 4 races, collecting 2 wins, two 2nd’s and a lap record at Croft. “The car was great by the end of the season last year and it feels just as good now.” remarked Ben. In parallel with his Caterham duties, Ben also tried his hand at Rally Cross when he won the Lumina Lights Scholarship last year. However, in the longer term he is looking to step into GT’s having tested with Optimum last October. TUCK HITS VLN FORM AT SNOWBOUND NURBURGRING! BEN TUCK FINALIST IN BMW JUNIOR SHOOTOUT!